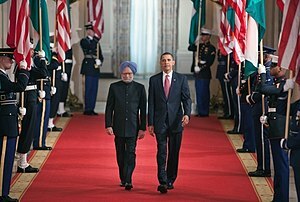 Obama Strolls Political Red Carpet With Mubarak in Days Gone By. Imagine: everything that tea party blogs and truth researchers have been screaming on the internet for five years now about this man, this calculatedly aloof and inept President, who pretended he was America‘s new political Messiah four years ago, is finally, four years too late, being discussed in “official” American media outlets. I could just shake the men and women at Newsweek, clanking their heads together. Updated 01.31.2011 Copyright 2011-3011 By Chase Kyla Hunter, All Rights Reserved. Consensus is that the Obama White House was both personal and intellectually caught off guard by events in Egypt, with WHcabinet members now walking a delicate line of appearing to support the people, while reluctantly disinclined to cease all support for Mubarak either. It’s an impossible political position to take without revealing your own motives and underpinnings. Tear gas canisters, tanks, rifles, and other military supplies deployed by Mubarak’s troops clearly show “Made in USA” labels. Is this revolt secretly “made in the USA?” I’m not willing or ready to speculate aloud on this blog about that but I am posting at least 2 other videos which make some interesting speculations.See other recent posts on this blog for the coverage of the early days of the rioting. On Twitter many other American patriots take a” wait and see” position on Egypt or try to ignore the explosion of rage now that it’s seven day old news, and get back to the business of raging and ranting against our own government instead. I feel it’s a mistake to disregard what’s happening now in the Mideast. This does not feel like a “flare-up” of popular discontent that’s going to go away. For one, the sheer numbers of people who have poured into the streets in Egypt, including the unprecedented appearance of scarf-wrapped Muslim women who have joined the protesters, indicates that the Mubarak regime will have to kill tens of thousands of his own people if he intends to heavy-handedly deploy brute military force to stop the uprising. Watching it all feels rather like sitting on a pile of high dry tinder while watching a wildfire raging about a half mile away, and wondering if the tinder pile you are sitting on is actually really safe. American patriots have much to mull over as we watch what may come of yet another “people’s uprising” against yet another rotten to the core and corrupt military dictatorship overseas, only thinly disguised as “governance” at all. I am adamant in my spiritual position that violence is never the proper solution. But that is making me an unpopular writer in the more radical circles ofAmerican discontent with our own government. I am well aware that there is a thick vein of inclination among certain anti-government groups here in the states that the only way forward now is to take to the streets, but they are dead wrong. Using political due process, and voting into the D.C. cauldron the necessary “new political blood” while voting out the corrupted aging and irrelevant factors which support the CFR and UN positions must proceed, just as it commenced on November 2nd landslide turning of the tide against the incumbent White House, which offers, neither hope, change, or a whit of common sense as to how to govern America. Let’s keep our wits about us here in the states, and keep our shoulders to the wheel of legal and ethical political “due process”. One can only hope that the Egyptian population has the will to proceed with their revolution in a nonviolent and peaceful manner; to state their case with no more bloodshed. But the powder keg fuse appears to be burning now, and events in the Mideast may accelerate toward further destabilization sooner, rather than later. Somewhere a man is waiting in the wings, who will assume the prophesied role of the Imam Mahdi at the precise moment when he feels it will be most advantageous to his global aims and goals. Once the Mideast violence rises to a cacophony and crescendo that’s deafening to all ears, he may emerge to answer their call. World War III will eventually commence out of his false pretext of peaceful “new age” entry. I wait. I watch. I write. I pray. It’s too late now to do anything but review The KJV Book of Daniel and ponder the coming “blow by blow news coverage it provides” of the Imam Mahdi’s world conquest, the same world conquest that a man named Daniel saw in visions and wrote about nearly 2,600 years ago. Restore Internet service and access to the world. The Obama Administration should review U.S. assistance to Egypt and make further assistance contingent upon undertaking these actions. Our 21st century fascination with the ancient Nephilim giants who were described in the Bible has only intensified over the years, as each new archeological and scientific discovery continues to prive that these huge men and women did exist. We now know that these Nephilim [ aka Anakim or Annunaki ] giants were, in fact, very literal and very real. Skeletons have been found in modern times since the late 1800s which are inexplicably enormous, some as large as 15 feet tall, and now scientists have identified a DNA mutation from ancient populations in Northern Ireland that produces giantism: people who could grow to a height of 8 feet tall or more. Is it possible that the mutant gene found in the four northern Ireland families is a left over of a much older Nephilim gene, and that through early human migrations and interbreeding, that this gene emerged again thousands of years later, 1500 years ago, in these four Irish families? The evidence continues to mount that the ancient Anakim, Nephilim “mighty men of old” also referred to as the Annunaki, were very real parts of a prehistoric chapter of the human species which was lost in the deep annals of time, which has also been devoid of any written records until just recently. We know that the bible has been rewritten and re-edited over and over again since the 325 A.D. Council of Constantinople. We know that the Catholic Bible has several more books than the Protestant, and we know that in the Old Testament there are repeated references to the “Book of Jasper” which has been omitted from the KJV Bible. Men with passions for greater power and control over the human species’ religious life have tinkered with the scriptures incessantly since 325 A. D. and that fact is not in dispute. Here is just one example: the word “Lucifer” has been omitted in several places in the New International VersionHoly Bible, as compared to the KJV Bible. I refuse to read the NIV bible for that reason alone. I maintain that one of the reasons the Urantia Book Fifth Ephochal Revelation of Truth was given to humankind was to make up for the suppression and destruction of the written records of our oldest human origins. There has been a longstanding generational conspiracy within the church itself to keep the truth about our origins from the people of this world. if you doubt this, place a copy of the Urantia Book in front of most any Christian minister or pastor and watch how they react. They have allowed themselves to fear this great revelation of cosmic truth to the point that many actually fear to open the book and look at it’s table of contents. I have had Christian pastors tell me that they refuse to examine any other book which contains records of humankind’s origins other than the KJV bible. This is not intelligent bible scholarship. And pity to these men and women that it will take someone like me to finally present the truthful records to the American people through my blogs, but God has raised me up for this purpose and so I proceed. And now in these last days, Jesus own words from 2,000 years ago ring true as we learn the truth and are spiritually set free by it. The Spirit of Truth is literally sweeping across the world, inspiring brilliant men and women of science to converge and re-unify apparently disparate discoveries, comparing those discoveries to ancient accounts in the Holy Bible, the Urantia Book and other ancient holy books to see where they intersect. We are connecting the dots as a human species, by putting the historical, archealogical and anthropological discoveries into a greater tapestry of understanding. These newly discovered facts now corroborate the biblicalGenesis story of the ancient Nephilim giants that resulted from the Annunaki “Gods” mating with mortal women. The Urantia Book’s account of giants in the earth’s distant past is also corroborated by this scientific discovery. The entire text of the Urantia Book, which is 2037 pages, is free for humankind to read and study, is in the public domain, and can be found at http://www.urantia.org You may also listen to audio reading of the chapters as well. My only correction to add to the article below is that modern science and anthropology has yet to fathom how far back in time the original mutation took place. The original genetic mutation would have taken place more than 450,000 years ago. When the Planetary Prince [see KJV bible phrase “Kings and Princes of the Earth“] assigned to Earth [ Urantia ] and his staff arrived on Earth [ Urantia ] 500,000 years ago they constructed the first ever human settlement at the headwaters of the Persian Gulf. This settlement was named Dalamatia. 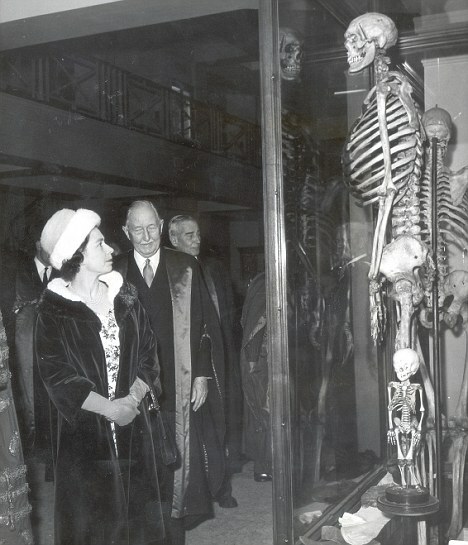 A hybrid human was developed at that time from mixing the human genome with that of several of the Prince’s staff. This truth became the fodder for the many legends of the “MIghty Men of Old” which are described in the book of Genesis. I strongly suggest truth seekers study a copy of the King James Version Holy Bible, hand in hand with cited sections of the Urantia Book, which fully corroborate the biblical story of the Nephilim giants, expanding the details therein. (742.3) 66:2.3 The planetary staff included a large number of angelic co-operators and a host of other celestial beings assigned to advance the interests and promote the welfare of the human races. But from your standpoint the most interesting group of all were the corporeal members of the Prince’s staff — sometimes referred to as the Caligastia one hundred. (742.4) 66:2.4 These one hundred rematerialized members of the Prince’s staff were chosen by Caligastia from over 785,000 ascendant citizens of Jerusem who volunteered for embarkation on the Urantia adventure. Each one of the chosen one hundred was from a different planet, and none of them were from Urantia. (742.5) 66:2.5 These Jerusemite volunteers were brought by seraphic transport direct from the system capital to Urantia, and upon arrival they were held enseraphimed until they could be provided with personality forms of the dual nature of special planetary service, literal bodies consisting of flesh and blood but also attuned to the life circuits of the system. (742.6) 66:2.6 Sometime before the arrival of these one hundred Jerusem citizens, the two supervising Life Carriers resident on Urantia, having previously perfected their plans, petitioned Jerusem and Edentia for permission to transplant the life plasm of one hundred selected survivors of the Andon and Fonta stock into the material bodies to be projected for the corporeal members of the Prince’s staff. The request was granted on Jerusem and approved on Edentia. (742.7) 66:2.7 Accordingly, fifty males and fifty females of the Andon and Fonta posterity, representing the survival of the best strains of that unique race, were chosen by the Life Carriers. With one or two exceptions these Andonite contributors to the advancement of the race were strangers to one another. They were assembled from widely separated places by co-ordinated Thought Adjuster direction and seraphic guidance at the threshold of the planetary headquarters of the Prince. Here the one hundred human subjects were given into the hands of the highly skilled volunteer commission from Avalon, who directed the material extraction of a portion of the life plasm of these Andon descendants. This living material was then transferred to the material bodies constructed for the use of the one hundred Jerusemite members of the Prince’s staff. Meantime, these newly arrived citizens of the system capital were held in the sleep of seraphic transport. (742.8) 66:2.8 These transactions, together with the literal creation of special bodies for the Caligastia one hundred, gave origin to numerous legends, many of which subsequently became confused with the later traditions concerning the planetary installation of Adam and Eve. (743.1) 66:2.9 The entire transaction of repersonalization, from the time of the arrival of the seraphic transports bearing the one hundred Jerusem volunteers until they became conscious, threefold beings of the realm, consumed exactly ten days. A race of giants may have sprung from a mutant gene that first emerged around 1,500 years ago and causes uncontrolled body growth, scientists believe. The ‘gigantism gene’ was identified in the DNA of an 18th century man known as the Irish Giant who stood almost eight feet tall. The gene is still causing excessive growth in families in the same area of Northern Ireland where Charles Byrne was born. He found fame in the 1780s by exhibiting himself as a curiosity or ‘freak’ in London and died aged just 22 after his celebrity saw him develop a drink problem. Copies of Byrne’s mutation have been found in living patients suffering from gigantism and other symptoms of over-growth. And scientists writing in the New England Journal of Medicine said they suspect all inherited the gene from the same common ancestor who lived up to 66 generations ago. Around 200 to 300 people may be carrying the same mutation today. The Irish Giant – also known by his stage name O’Brien – was born in Littlebridge, Northern Ireland, in 1761. Despite claims that he towered more than eight feet tall, skeletal evidence shows his height to have been just over seven feet seven inches. 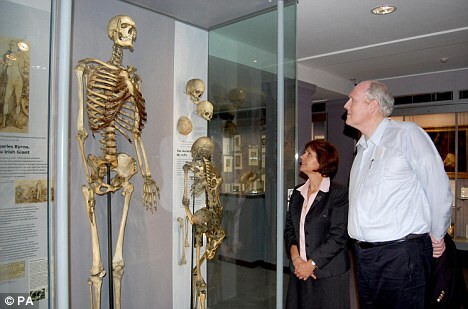 After his death Byrne’s body was acquired by the 18th century surgeon John Hunter, and his skeleton remains at the Hunterian Museum at the London headquarters of the Royal College of Surgeons. British and German scientists conducting the new research extracted DNA from two of the Irish Giant’s teeth. They discovered a mutant version of the aryl hydrocarbon-interacting protein gene (AIP) which matched those found in living patients fromfour Northern Irish families. The gene variant triggers tumour growth in the pituitary gland at the base of the brain. Among its many functions, the gland releases hormones that regulate growth. Pituitary tumours can cause tissue to grow abnormally, which may lead to gigantism – as suffered by Byrne – or acromegaly. Symptoms of acromegaly include thickened skin, enlarged hands and feet, distorted facial features, and overgrown organs. By analysing the DNA, the scientists calculated that all the carriers of the mutant AIP gene had inherited the genetic fault from a common ancestor. Calculations suggest that the mutation is about 1,500 years old, and between 200 and 300 people may carry it today. Professor Marta Korbonits, from Barts and the London School of Medicine and Dentistry, who led the research, said: ‘The idea initially looked quite bizarre, but as we gained more data and identified new families affected by the mutation, our findings confirmed our theory. The discovery means anyone thought to be at risk can now be screened for the AIP mutation with a blood test, said the scientists. Truth researcher Chase Kyla Hunter reports that in the last 7 days she has noted periodic incidents of what appears to be some sort of possible censorship taking place on social networking sites Twitter and Facebook. She reports also that her Wiki on Wetpaint.com has had dozens of embedded videos disappear since 2008. The image below shows the video embed page on Chase’s other Wiki, the original truth research Wiki she started in early 2008. Nearly one fourth of the videos on certain topics have now been mysteriously removed from the web, far too many for it to be a random choice on the part of a YouTube. This really bothered Chase and she included the screenshot below in her email to me. 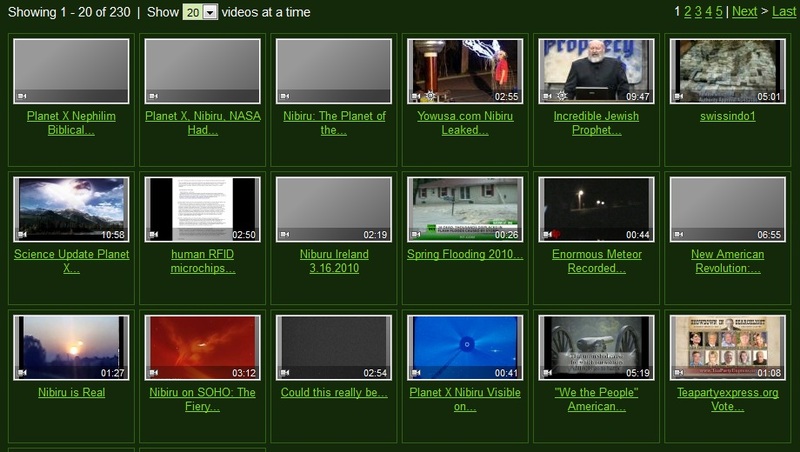 The empty grey panels are removed videos. The subject of all of these videos pertains to the New World Order in some capacity. Although in fairness, at least one incident with FB yesterday could possibly be attributed to the choppy roll-out of Facebook’s new format. For several hours yesterday certain words and phrases of a Christian nature which were typed into a profile disappeared repeatedly after saving them. Chase reports this occurred 6 times at one point. She finally gave up trying to add these Christian phrases to her profile, but will try again soon. If you are a truth researcher or journalist, or citizen journalist who writes about the emerging New World Order and similar things are occurring on your websites, please record and post about it, so we can inform the rest of the internet that censorship is being attempted and try to put a stop to it. This is not Nazi Germany in 1938, this is the United States of America in 2010 and this should not be happening. 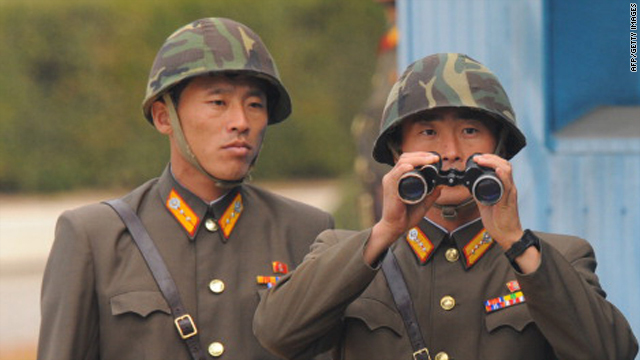 North Korean soldiers stand guard in Panmunjom in the buffer zone between the two Koreas on October 20, 2010.
four South Korean soldiers, the Yonhap news agency reported. At least 200 rounds of artillery hit an inhabited South Korean island, Yonhap said. The South Korean army raised its alert condition and braced for any possible fire, the report said. 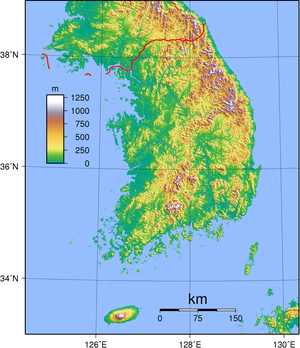 The country’s military responded with 80 rounds of artillery and deployed fighter jets to counter the fire, Yonhap said. Images of plumes of smoke were quickly broadcast on Yonhap television, but it was not immediately clear what the artillery had hit. The island that was hit has a total of about 1,300 residents, a fisherman who lives on the island told Yonhap. The South Korean immediately called an emergency meeting of its security ministers. I have argued with liberals off and on that the US will eventually either have to completely close the southern US/Mexico border or simply begin the process of peacefully annexing the nation of Mexico. I believe the last time I made that argument was in early 2004, before all hell REALLY broke loose along the southern border. Mexican Magazine Proceso reveals the location of a US Military-Intelligence Megaplex in Mexico City. -Megaplex includes offices for the CIA, FBI, DEA, Defense Intelligence, BATF, Department of Treasury and others. – U.S. Intelligence Operatives will no longer have to disguise themselves as diplomats. – Mexico will now have a Military ‘Liaison’ for NORTHCOM. – U.S. is now in charge of all tactical efforts against the drug war, counter-insurgency, and counter-terrorism in Mexico. – Obama and Hillary Clinton are credited for the creation of the Office of Bi-lateral Intelligence in Mexico (OBI). With the approval of Felipe Calderón’s Administration, the U.S. Government finally got what it always wanted: To set up a super spy center in Mexico City. It was the escalation of the drug war in the country what opened the door to all U.S. intelligence agencies, including the military, to operate out of the Federal District without having to disguise their agents as diplomats. The establishment of the Office of Bi-national Intelligence (OBI) was authorized by Calderon, after negotiations with Washington, which began under the government of his predecessor, Vicente Fox Quesada. The creation of the super spy center was authorized by the director of the Center for Investigation and National Security (CISEN), Guillermo Valdés Castellanos, without taking into account any objections from the Mexican military. Through the OBI, Calderon has given the green light to U.S. Intelligence agents to spy on organized crime syndicates and drug cartels. They can also spy on Mexican government agencies, including the Secretariat of National Defense, Navy, and the diplomatic missions in Mexico. The building headquarters, which includes offices from the Pentagon, the Central Intelligence Agency (CIA), the Federal Bureau of Investigation (FBI), the Departments of Justice, Homeland Security, and the U.S. Department of Treasury is located at 265 Paseo de la Reforma Avenue, approximately 250 meters from the U.S. embassy. The most significant presence at the OBI building is that of the Pentagon, which includes the Defense Intelligence Agency (DIA), the National Reconnaissance Office (NRO) and the National Security Agency (NSA). It is followed by the U.S. Department of Justice, also with three agencies: the FBI, the Drug Enforcement Agency (DEA) and Bureau of Alcohol, Tobacco, Firearms and Explosives (ATF). With two services, there is the Department of Homeland Security: Coast Guard Intelligence (CGI) and the Bureau of Customs and Immigration Enforcement (ICE), while the Treasury Department has officers of the Bureau of Intelligence on Terrorism and Financial Affairs (TFI) . In addition, the OBI opened two remote offices: one in Ciudad Juarez and one in Tijuana, housing U.S. agents and “task force commanders” who coordinate operations against drug trafficking with the support of Mexican Government personnel. The building occupied by the OBI in the Federal District is right next to the Mexican Stock Exchange and is part of what the security and intelligence services in Mexico define as a “soft target area” in reference to the possibility of an attack on U.S. interests in Mexico. At this strategic point for Washington in the Mexican Federal District, there are also facilities for transnational corporations such as Ford, American Airlines, as well as Marriott and Sheraton hotels, among others. The building where the OBI is located gives the impression of an ordinary business facility, with banks, insurance, telecommunications, commercial offices and private offices. The only thing that stands out is the entry and departure of U.S. citizens. The building directory lists the names of the occupants all the way up to the 21st floor. However, after the 22nd floor, there are three penthouses that are only listed as “occupied.” And on the roof there is a dozen satellite dishes placed just above the logo of the telecommunications company Axtel. “It’s the best covert location for the agencies to operate,” said the source that provided the location of the OBI. The ordinary appearance of the building is the way in which the United States often disguise intelligence centers around the world. The reception and parking are guarded by private security services, while Federal District Police provide outside support. Furthermore, the city government has installed special surveillance cameras with sirens to observe the movement of pedestrians and vehicles outside the building. The scope and power of the OBI in Mexico is similar to the El Paso Intelligence Center, in Texas (EPIC), which dates back to 1974 and operates exclusively to combat drug trafficking, weapons and money laundering on the border between Mexico and United States. EPIC has been credited for creating the strategies launched against drug trafficking and organized crime in Mexico. Among the most successful are Operation White Tiger, which was used to investigate the activities of the Hank Rhon family in 1997, the capture and extradition, a year earlier, of Gulf Drug Cartel Leader Juan Garcia Abrego, and the discovery of narco-graves in Ciudad Juarez, Chihuahua, in 1998. Overrun by drug trafficking, the government of Felipe Calderón agreed to the establishment of the OBI in Mexico a proposal of the then head of National Intelligence in the United States, Admiral Dennis Blair, who last March was accompanied by Secretary of State, Hillary Clinton, during his working visit to Mexico. According to the formal agreement, the new U.S. office workers interact with their Mexican counterparts, under the coordination of the State Department and the Mexican Ministry of Foreign Affairs (SRE). For the Pentagon, the strong presence of its agents in Mexico is intended to merge the intelligence and espionage services of both countries to identify and exploit the vulnerabilities of drug trafficking organizations and organized crime gangs. Under this directive, issued on 18 March by Gen. Victor Eugene Renuart, then head of Northern Command (NORTHCOM), Mexico has carried out several operations against drug traffickers. Since then, among some of the actions taken the drug lords have been the killing of Arturo Beltran Leyva, (aka El Barbas), Ignacio “Nacho” Coronel, and Ezequiel Cardenas Guillen (aka Tony Tormenta), in addition to the arrests of other drug lords, such as Edgar ‘Barbie’ Valdez Villarreal. Since the killing of Beltran Leyva in December of 2009, U.S. intelligence services, mainly the DEA, have mentioned their participation in various operations, against the very Arturo Beltran Leyva, Barbie Valdez, Teodoro Garcia Simental (aka El Teo), Jose Gerardo Alvarez Vazquez (aka El Indio or El Chayán), operator of the Beltran Leyva organization and Carlos Ramon Castro, a drug dealer who worked for several organizations. As part of the Mexican government’s need to justify the militarization of the fight against drug trafficking, the Pentagon has strengthened its cooperation with the Mexican military. In early 2009, just as the Department of State and the Mexican Exterior Relations Secretariat (SRE) fine-tuned the details for the establishment of the OBI, the U.S. Department of Defense stepped up military training for Mexicans in Mexico and in several U.S. military bases. The training has been an unprecedented event in the history of military relations between the two countries. For the first time, the Pentagon has brought counter-insurgency and counter-terrorism expertise from Iraq and Afghanistan to their offices in central Mexico. In the case of Mexico, the training courses are developed and run by the Defense Department, and are focused on intelligence and tactical operations against drug trafficking, terrorism and the implementation of counterinsurgency tactics. In addition to the courses offered in Mexico, the Mexican military has significantly increased the number of special forces troops in the Army, Air Force and the Navy to attend specialized intelligence training in U.S. military bases. The main example of this cooperation is the presence -for the first time in the bilateral relationship- a member of the Mexican Army as a “liaison” between the Mexican military (Central Command) and the Northern Command in Colorado (NORTHCOM), according to a military source who spoke to the Mexican magazine Proceso. On Wednesday 10, The Washington Post published on its front page a note informing that the liaison will also serve as deputy commander of the Institute for Security and Cooperation in the Western Hemisphere at Fort Benning, Georgia. From the sixties to the eighties, these facilities housed in the so-called School of the Americas, which went down in history as a supplying center for Latin American dictators, which are characterized by the systematic violation of human rights. The establishment of the Office of Bi-national Intelligence (OBI) implies that for the first time in the history of Mexico, surveillance, supervision and qualification of work against organized crime between federal government agencies, including the military, rests in part on foreign officials. “We will be coordinating our efforts with the government of Mexico through high-level contacts, which in part are related to the new intelligence services responsible for overseeing the implementation of Merida Initiative,” according to the document released by the White House (published by Proceso). A year later, on March 23, 2010, Hillary Clinton announced during her working visit to the Federal District, in the context of the implementation of Plan Merida, the establishment of two “pilot programs” in the Tijuana-San Diego and Ciudad Juárez-El Paso corridors. However, the actual operations of the OBI in security and intelligence services, Mexicans will be subordinates of the U.S.. Agencies of the U.S. Government will play the role as experts in intelligence work, apart from previous advisory roles in order to increase Mexico’s ability to use information resources against drug cartel operations. I am continually surprised by how little most Americans [including those with money] actually know about inflation, what it is, what it means, and how it devalues a currency over time. I shouldn’t be, though, many Americans have now taken to the horrendous habit of actually buying their groceries with credit cards, something just too insane to even imagine. Does it not occur to these folks that they will be paying anywhere from 10.6 to 18% or higher on something that will be consumed in a week, yet they will continue to pay interest on the purchase possibly for years to come, via monthly minimum credit card payments. It’s a world going mad in so many ways. Ever Wonder Why Gold & Silver Are Skyrocketing? 2011 Projects 10.2 Trillion in Global Borrowing. That’s Why. Cowgirl Up, Sarah Palin: America Needs You. 2012? Run Baby Run. Cardinal Bergoglio - "Pope Francis"